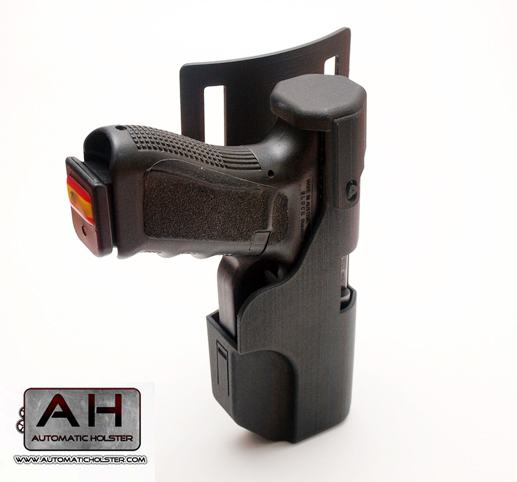 The Automatic Holster made of a high quality polymer which is a thermoplastic semi crystalline structure making it very durable and highly resistant to oils, greases, solvents, chemicals and corrosion under even the most testing environment. The AH also possess a high thermal deformation resistance to prevent warping in hot weather conditions. The Automatic Action System is a system by which in one move the gun is drawn, the retention systems are deactivated and the weapon is unholstered with a chamber loaded. 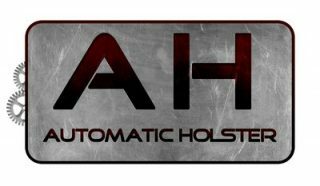 The AH allows the user to safely carry his firearm unloaded yet when the need arises, can draw and load a bullet into his chamber in a matter of seconds.